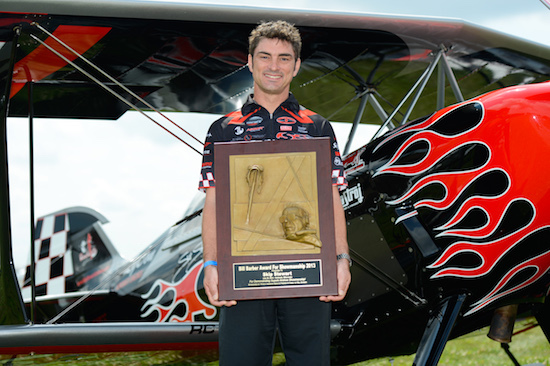 Prometheus the flying machine is part Pitts Special and the rest is the vision of Skip Stewart. 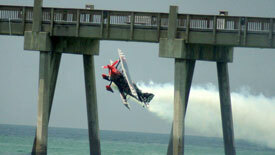 Starting life as a Pitts S-2S, Prometheus was modified to give Skip the airshow machine he wanted. This flying machine looks like a good old American hot rod. The horsepower was increased to (400), the big three bladed prop reminds you of oversized racing slicks, the rear canted landing gear makes it look fast sitting on the ground and the paint job yells "street rod." 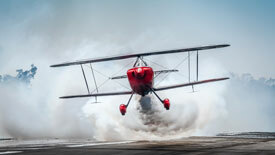 THIS IS AN ALL MUSCLE BI-PLANE! I was curious about the name Prometheus so I had to look it up in Greek mythology. I discovered it means forethought. Prometheus was a rebel titan who displeased Zeus by taking from him and giving to the people of earth the power of fire. The name matches the paint design with its hot rod style flame job, the show with its snarling, flashy maneuvers and Skip's forethought in his crowd pleasing routine. 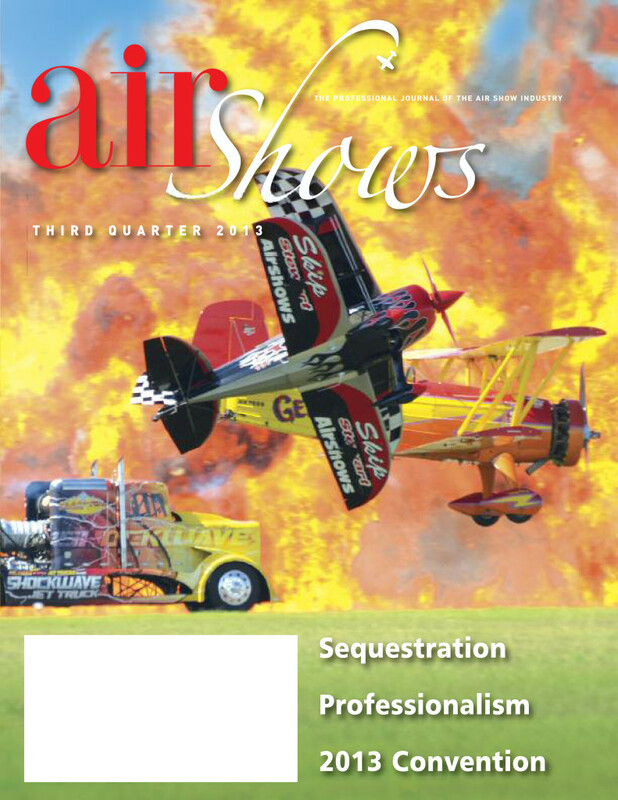 As the recipient of the 2013 Bill Barber Award for Showmanship and the 2015 Art Scholl Award, Skip Stewart has proven to be one of the most entertaining Airshow pilots in the world today. 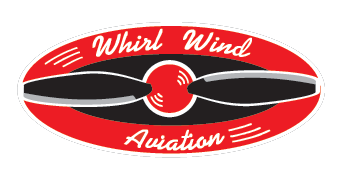 With over ten thousand hours of flying experience, being an Airline Transport Pilot, Boeing 727, and MD-11 Captain, a Certified Flight Instructor, having owned and operated an aerobatic flight school, earned Gold Medals in regional aerobatic competitions, served as Chief Pilot for a Fortune 100 company and with more than fourteen years entertaining airshow fans around the World, Skip feels comfortable saying that he is one of the very best in the business today. 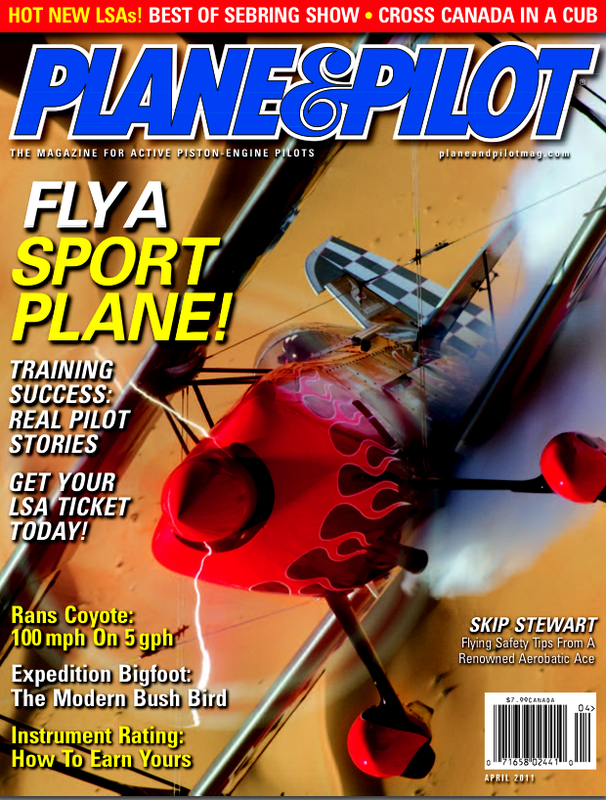 Skip's flying has been featured in magazines that include Plane & Pilot, Smithsonian Air & Space, AOPA, Sports Illustrated, World Airshow News, Auto Pilot, as well as in multiple other domestic and international publications. 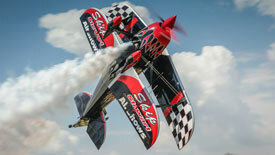 Skip Stewart is the first pilot to fly an airplane under a jumping motorcycle at an Airshow and he also flies with several other pilots forming shows such as the renowned TinStix of Dynamite Act. 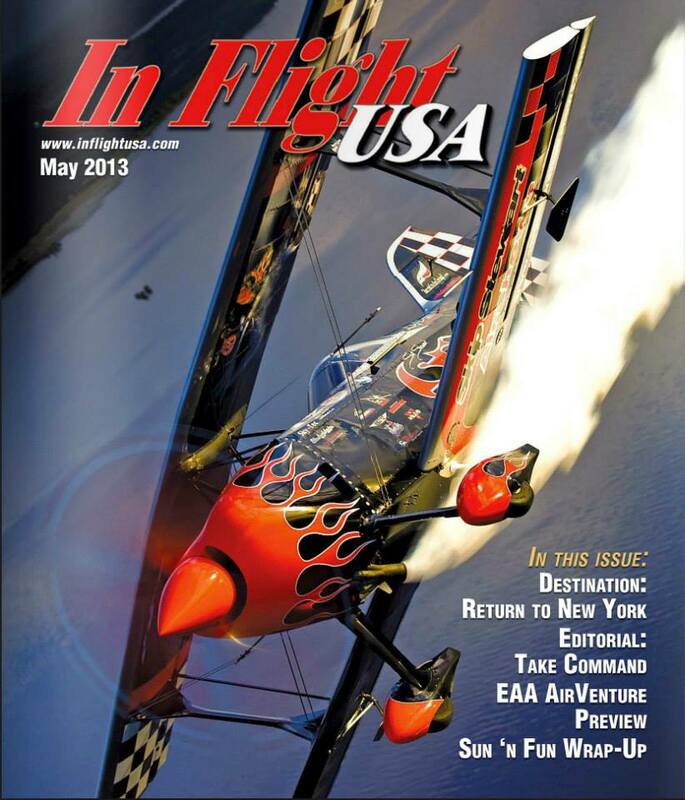 All our St. Louis supporters please head out to Spirit this weekend and checkout a great ExtremeFlight inspiration in Skip Stewart....I am not able to attend but he is an amazing legend in our industry and a huge inspiration to me...so please offer your support to him...thank you and blue skies!!! Hello Skip Stewart, I'm your fan number one here, from Costa Rica. I really love all about aviation... I remeber your great show when you came to Costa Rica, was amazing. I really hope that you come back soon. All days I say to my mom that I'll be a great pilot like you because you are my idol.